Equipment Service - PRO Temp Inc. When HVAC and Refrigeration equipment goes down, we know you have a lot at stake until you’re able to get it back up and running again. ProTemp keeps HVAC & R service techs on call 24 hours a day, 365 days a year, ready to hop in the van and come to your aid as soon as possible. We take your downtime to a minimum by keeping our service vans and warehouse fully stocked with most of the parts and supplies you’ll ever need. We stock more types of refrigerant than any other company in the area, and if we do end up having to order a part or supplies to fix your equipment, the long standing relationships we’ve developed with our vendors will ensure short lead times and great pricing. At ProTemp, we’re committed to exceptional customer service, so we keep all of our techs enrolled in continuousHVAC & R training programs so we’re always informed of new technologies and processes. We also have many techs that specialize in a particular discipline, just in case you bring us an exceptionally puzzling problem to solve. 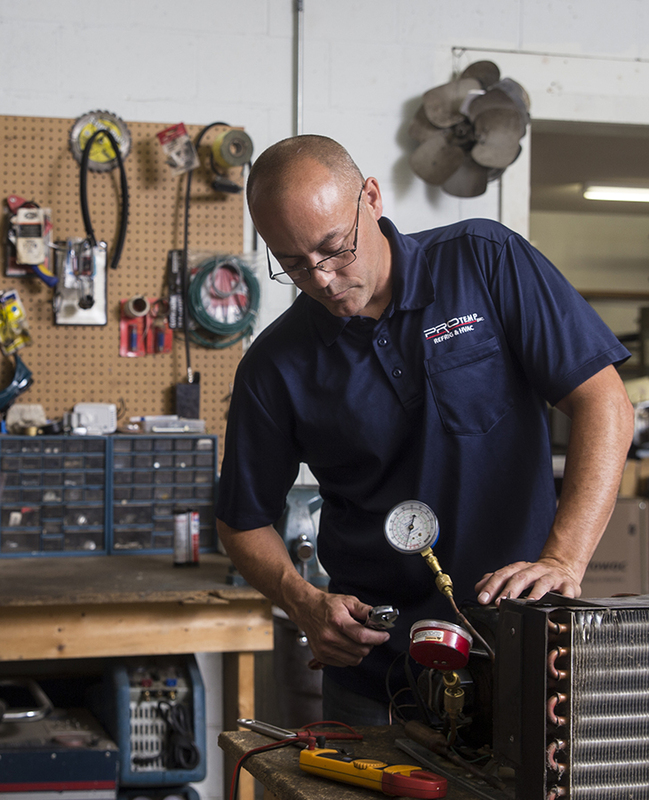 We differentiate ourselves from other HVAC & R service providers in the area by focusing on commercial refrigeration installation, maintenance and repair.